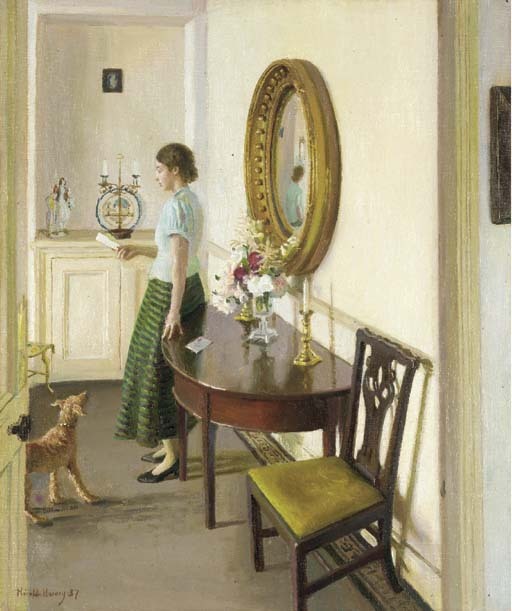 The present view is the interior of Harvey's home, Maen Cottage, Newlyn. The dog, Murtagh, belonged to a neighbour. Known affectionately as 'Murty', it suffered from distemper, hence the upturned ears.